erra is lovingly owned by Melani who had great hopes for her as a star in all rings, but Kerra had other plans. She wants to work only, none of this beauty stuff for her, so she ate her Wheaties and grew and grew so that she would exceed the size limit for the conformation ring. 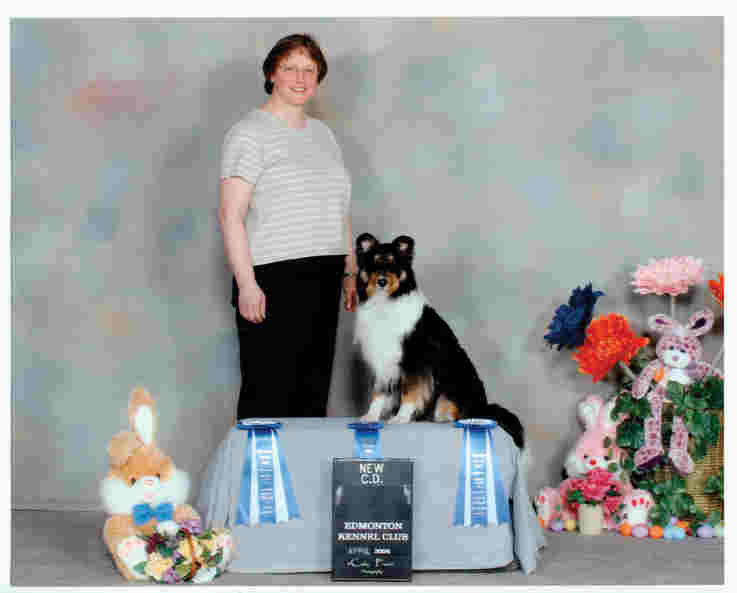 erra's debut in the obedience ring proved fruitful as she attained her Companion Dog (CD) title in 3 straight trials. Way to go Kerra and of course expertly handled by Melani. Open was not as easy as Novice, Kerra made Melani work for it. Kerra finished title with a nice score of 195.5. Kerra continues to keep Melani humble while working on Utility or did I mean to say Futility. Watch for Kerra and Melani at the Rally Trials. 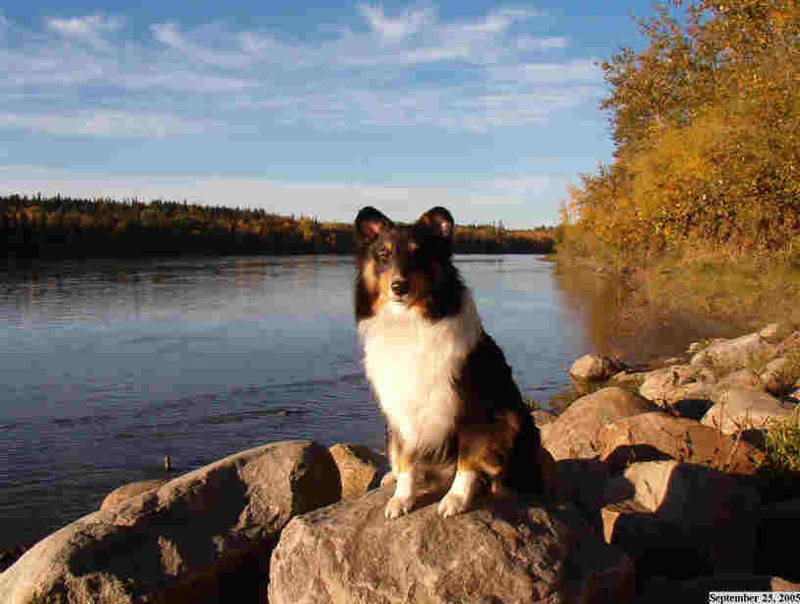 Kerra is doing it all obedience, agility and tracking.